How Do Boilers Distribute Heat? To be frank, we could answer this question with a simple, 2-word response — very well! 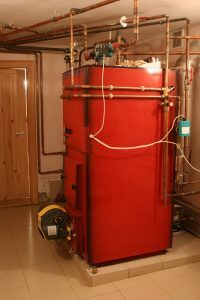 Of course, we know that our readers here expect and deserve more than this type of reply, so today we will talk a bit more in-depth about how it is that boilers distribute heat throughout houses, and why they are so successful at doing so. The boiler has been a home heating favorite for a long time now, and newer technologies have only made them better than ever! Posted in Heating | Comments Off on How Do Boilers Distribute Heat?